Category: Aviation, Building & Construction, Electronics & Packaging, Electronics & Packaging, Expanded Polyethylene Foams, Soft Play & Cushion Packaging. DESCRIPTION: LD45 is a closed cell polyethylene foam which is produced as a pure chemically inert foam without blowing agent residues. The foam has a uniform cell structure with regular cell walls, this regularity results in consistent physical and mechanical properties. APPLICATION: LD45 is suitable for a variety of applications. 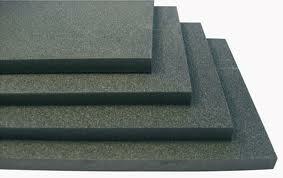 It is an effective replacement for Neoprene and natural rubbers, PVC foam, polyurethane foam etc. This foam can be used in a wide application area including:defence, electronics, leisure and packaging for sealing gasketing, cushion packaging, vibration and insulation pads, case inserts, buoyancy aids, body protection, leisure / sports padding etc. 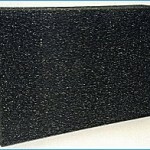 N.B – THIS FOAM IS ALSO AVAILABLE IN A FR VERSION FOR USE IN AVIATION.